Let's get you out of pain, now. Dr. Joseph Papalia is a Chiropractor who will help you get out of pain and make corrections to your health so that you can live a healthier and pain free lifestyle. Dr. Papalia specializes in Corrective Chiropractic Care which looks to correct the cause of the problem and not just the symptoms. It is his unique and scientific treatment that gets the results concerning your health and getting you to live a healthy life. "If your house was on fire and your smoke alarm was going off, do you just shut the alarm off? Well having pain is like having your smoke alarm going off in your body, representing a bigger issue. Do you just mask the alarm with pain medication or do you take care of the "cause" of the problem? Dr. Papalia will address the "cause" of your issues and not just the symptoms. Receiving Chiropractic care is a safe and natural in getting you out of pain and will improve your bodies overall function. Neck pain, Headaches, Back pain, Neuropathy, Pinched nerves, Bulging disc, Herniated disc, Sciatica, Torticollis, Muscle spasms, Sprains, Strains, Radiculopathy, Radiculitis, Piriformis syndrome, Work related injuries, Spinal stenosis, Auto mobile injuries, Myelopathy, Sports injuries, Arthritis, Migraines, Disc degeneration, Whiplash, Spinal degeneration, Vertigo and Fibromyalgia. Dr Joseph Papalia is proud to serve Setauket, East Setauket, StonyBrook, PortJefferson, Port Jeff, Port Jefferson Station, Selden, Poquott, Old Field, Miller Place, Three village and Coram. Setauket Chiropractic, Setauket Chiropractor, East Setauket Chiropractor, Lower back pain, Upper back pain, East Setauket Chiropractic 11733, Chiropractor 11733. 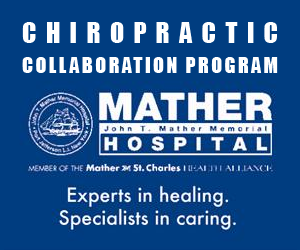 Chiropractor near me, Chiropractor in 11733, neck and back pain, back pain treatment, neck pain treatment, Port Jefferson station Chiropractor, Port Jefferson Chiropractor, Back pain East Setauket, Drug Free option, Back pain Setauket, neck pain Setauket, Back pain pregnancy, Sciatica Setauket, pain relief, pain in back, pain in lower back, Natural pain relief, Chiropractic pain relief, Muscle spasms, vertigo, vertigo treatment, Low back pain, back pain relief, middle back pain, kidney pain, back pain causes, back muscle pain, Disc herniation, Disc bulge, pain lower left back, pain lower right back, Sprain, strain, Adjustment, Joseph Papalia. back of head pain, Poquott Chiropractor, neck pain treatment, Drug-free option, how to get rid of neck pain, how to get rid of back pain, severe neck pain, severe headache, headache relief, pinched nerve in neck, pain in neck, shoulder and neck pain, pillow for neck pain, Neck muscle pain, neck pain relief, Stony Brook Chiropractor, Chiropractor in East Setauket, Chiropractor in Setauket. East Setauket pain relief. Right side back pain, Left side back pain, back pain exercises, severe back pain, stomach and back pain, Setauket pain relief, best Chiropractor, five star chiropractor, great chiropractor, help with back pain, help with neck pain, help with headaches, help with migraines, help with sciatica, help with pinched nerve, help with muscle spasm, best chiropractor, 5 star chiropractor, great chiropractor.